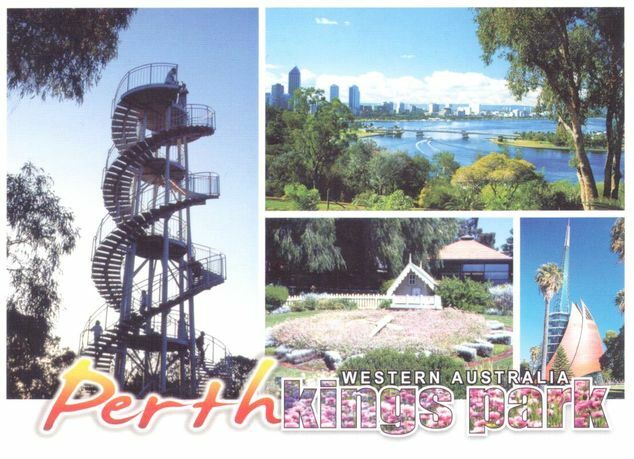 Kings Park is a 4.06-square-kilometre (1,003-acre) park located on the western edge of the central business district in Perth, Western Australia, Australia. The park is a mixture of grassed parkland, botanical gardens and natural bushland on Mount Eliza with two thirds of the grounds conserved as native bushland. With panoramic views of the Swan River and Darling Range, it is home to over 300 native plant varieties and 80 bird species. It overlooks the city as well as Perth Water and Melville Water on the Swan River.